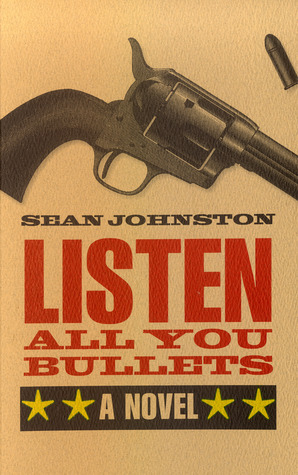 In an inviting and challenging series of fictions, Sean Johnston’s We Don’t Listen To Them will leave readers puzzling while they smile at the acrobatics of his words and techniques. Shifts in narrative, jumps in time, intrusions into the narrative tension are all common here. But so too is pathos, as seen in the family dilemma of a recovering alcoholic in the story “We All Considered This.” And we do find compassion in the son-in-law who holds sympathy and kindness for his father-in-law afflicted with Alzheimer’s in “You Didn’t Have to Tell Him,” and share the weighted sadness of the husband dressing his dead wife for the funeral in “He Hasn’t Been to the Bank in Weeks.”While the world will turn upside down in Johnston’s stories, and the logic and reality will be violated, and a bank teller will hand a patron his bank robber note, it is fiction that also ebbs and flows with human struggle, that is recognizable and relatable, and, despite the challenges and uncertainties placed in the reader’s path, there is always a way to see more clearly than we think we do. Listen All You Bullets tells the story of a young boy named Billy who is trapped on a hardscrabble North Dakota ranch with his lonely mother and his wheelchair-bound father. But Billy isn’t just any boy stuck on any ranch: Billy and his family are the creations of Jack Schaefer’s popular 1949 Western novel, Shane. Long after that novel’s action has concluded and its plot and characters have seemingly solidified into popular myth, Sean Johnston sets out to explore the possibilities of a story’s resistance to its own arrested afterlife. While the popular film and television renderings ofShane safely respect our expectations of the genre, Johnston’s playful and poetic novel disrupts boundaries, breaking through the surface to suggest new meanings. In the main thread of the novel, Billy’s family are visited by a travelling bookseller a year after the gunslinger Shane’s disappearance. A second thread follows a young Metis girl named Marie as she leaves her home in Saskatchewan in the 1930s. A third thread presents a sort of ideal reader who offers comments on the text in draft form many years later.Listen All You Bullets is about resistance, and the human impulse to hope in the midst of violence and distortion. It’s also about the fragility of both the material world we live in and the myths our lives are built upon. It is that rare kind of historical fiction that explores the complicity of the artist in the construction of popular history. A small town in Saskatchewan suffers a tragedy when Joey Fallow, star of the high-school’s hockey team, is killed in a bus crash. Twenty-five years later, when the CBC comes to town to make a movie about the event, it becomes clear that many residents haven’t moved on and that many don’t want to. Mired in the past, and at the same time acutely frustrated by the stagnancy he sees around him, is Adam, Joey’s best friend. Adam has more recently suffered an accident himself, one that has left his memory faulty. In a struggle to master the chronology of his own life, and rise to the new challenges put in his way, he risks alienating just about everyone who frames his past and present, including his wife Ellen and many in their long-time circle of friends. A Long Day Inside the Buildings is the story of an elementary school teacher struggling to be true to his students and teach them about a world that increasingly baffles and belittles him. From a promising new poet, nine studies of love, parenting and old photographs. Johnston skillfully follows the twentieth-century realist tradition of stripping stories down to details and everyday conversations that represent accurate snippets of life, and he explores perception - our ability to discern between conclusions and reality, between misplaced trust and mirror-pane truth. Without philosophical discourse or interrogation, these stories playfully prompt us to question our own realities. The debut of one of western Canada’s most thoughtful and original new authors, A Day Does Not Go By realistically depicts the confusion brought about by crumbling or extinguished relationships, roles and identities.